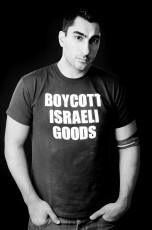 We go deep with Remi Kanazi about how he came to be an activist-poet and how he approaches the struggle for Palestine. Find out why he thinks the Boycott Divestment Sanctions movement is so important and why joining forces with allies like the #BlackLivesMatter movement and others is the best way to progress the cause of social justice in the US and worldwide! Remi has performed his poetry for audiences all around the world and his most recent book is “Before the Next Bomb Drops: Rising Up From Brooklyn to Palestine”. In this episode, he performs a few of his new pieces for us in studio. Join us for that and some insights that you won’t hear anywhere else!